With its Aquanaut Travel Time Ref. 5650 (Patek Philippe Advance Research), Patek Philippe in 2017 celebrates the twentieth anniversary of the Aquanaut collection with something extra special. Not only do we get five hundred examples of a dual-time, 47.6mm by 45mm white gold Aquanaut, but collectors can enjoy the latest results of the Advanced Research initiative Patek Philippe launched fifteen years ago to create more efficient watchmaking techniques and materials. 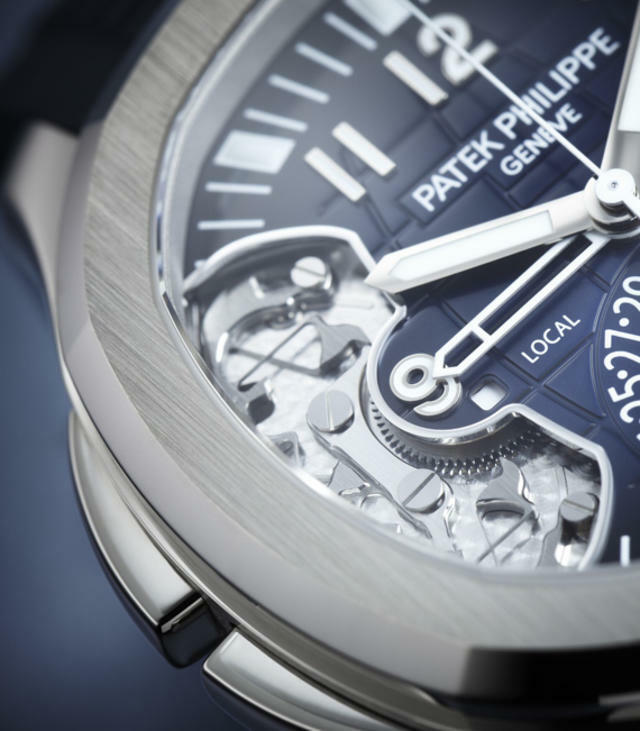 For the first time since 2011 however, we’re seeing Advanced Research results that aren’t completely linked to Patek Philippe’s much-touted silicon-based Spiromax or Pulsomax escapement components. Only one of the two major technical advances being touted in this new watch involves the Spiromax balance in the new Cal. 324 S C FUS. 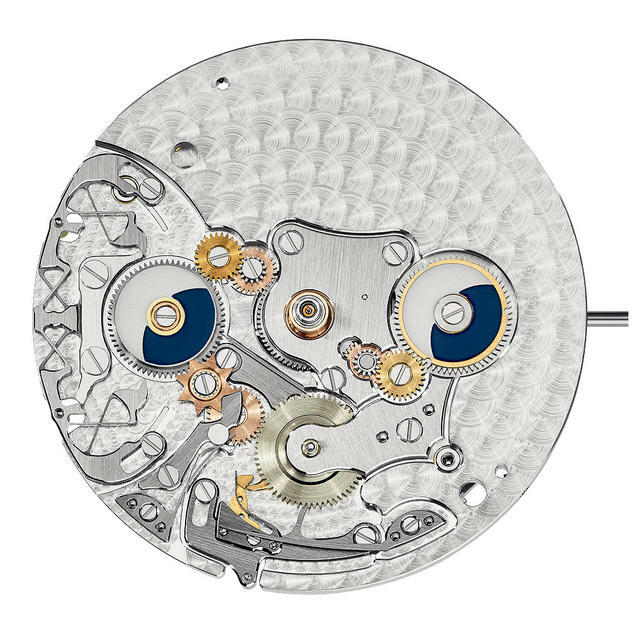 Patek Philippe has reconfigured the new watch’s balance spring just enough to increase its mean rate from -3 to +2 seconds per day to an incredible -1 to +2, effectively matching the rate accuracy of a Patek Philippe movement with a tourbillon. Patek Philippe does this by adding what it calls an ‘inner boss’ to the end of the spring to assist the ‘outer boss’ (the Patek Philippe terminal curve). The new ‘inner boss’ now enhances accuracy by offsetting positional changes of the center of gravity. In other words, no matter how the watch is held or moved, the balance spring’s expansion and contraction rate will not be affected. But the most interesting– and most visible– result of Advanced Research is seen directly through the open space on the Aquanaut dial–and it has nothing to do with silicon. The watch’s very un-Patek-like open dial aperture exposes an entirely new flexible steel component that now controls the GMT indication forwards and backwards. Using four crossed leaf springs instead of gears or pivots, the new component reduces the overall number of parts required for GMT switching from about thirty-seven to twelve. Patek Philippe says the new technique results in “no mechanical play, no friction, and no arbor wear, which assures completely lubricant-free functionality.” It’s a novel approach to heightened efficiency, and it’s one new component Patek Philippe feels should be seen as it operates. 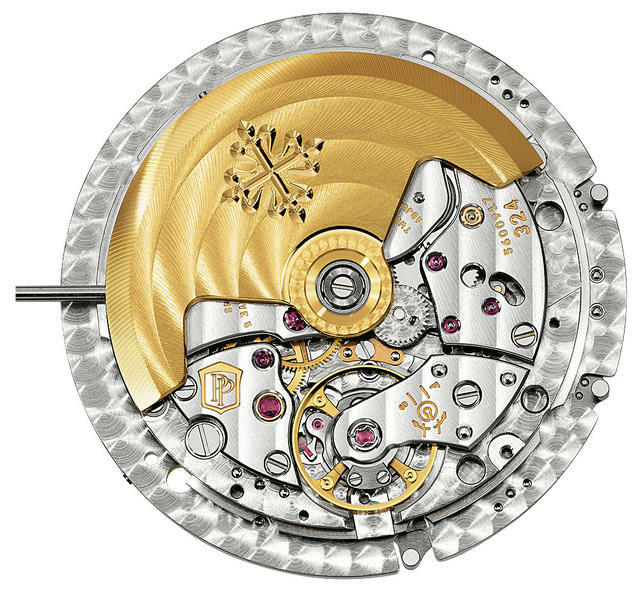 As this is a Patek Philippe watch, all these new components are finished as you might expect. The visible surfaces are precision ground, the invisible undersides carefully brushed, and the insides of the leaf springs are sandblasted. All edges are chamfered and polished (except, for functional reasons, those of the leaf springs). The surfaces around the mounting screws are circular grained. 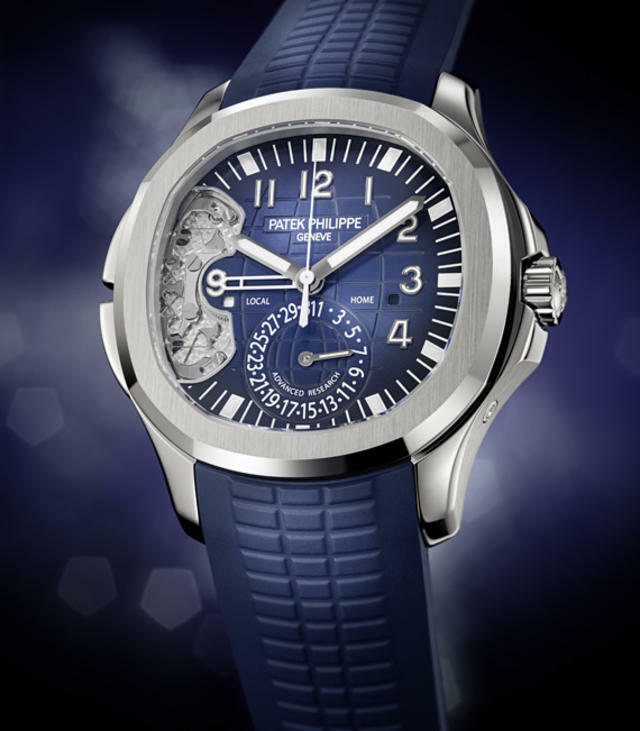 Patek Philippe will make the Aquanaut Travel Time Ref. 5650 Patek Philippe Advanced Research in a limited edition of 500 white gold watches. Price: $58,970. We’ll have more about Patek Philippe’s 2017 debuts in future posts, including a look at the beautiful blue Jumbo Aquanaut Ref. 5168G, the second ode to the Aquanaut’s twentieth year. Also, we’ll show you more of the surprising Calatrava 6006G and also take a look at the handsome new version of the Ref. 5320G perpetual calendar. Unlike Patek Philippe, for which an open dial is almost a revolutionary act, Zenith has long encouraged its collectors to take a peek under the hood, so to speak. 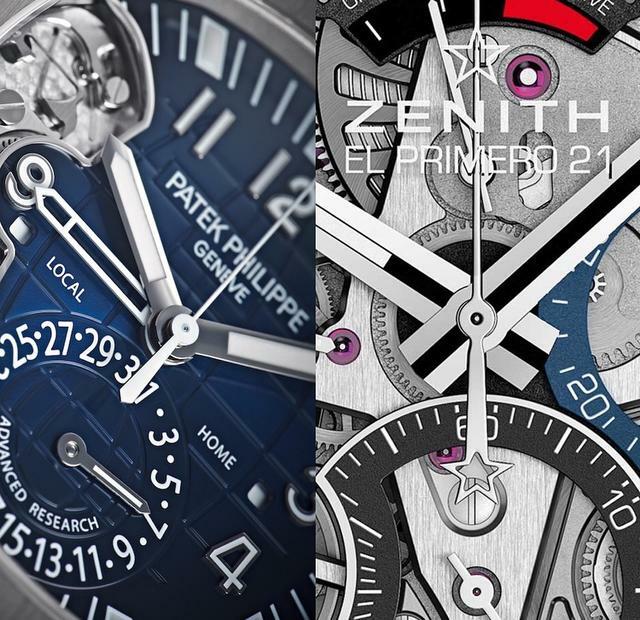 Skeleton designs and large dial apertures on many a Zenith watch have been instrumental in highlighting one of Zenith’s chief technical assets: its El Primero high-speed integrated chronograph calibers. This year Zenith has shifted into a higher gear with the new 44mm Defy El Primero 21, which is equipped with two independent balances: one for the time and the other for the chronograph. 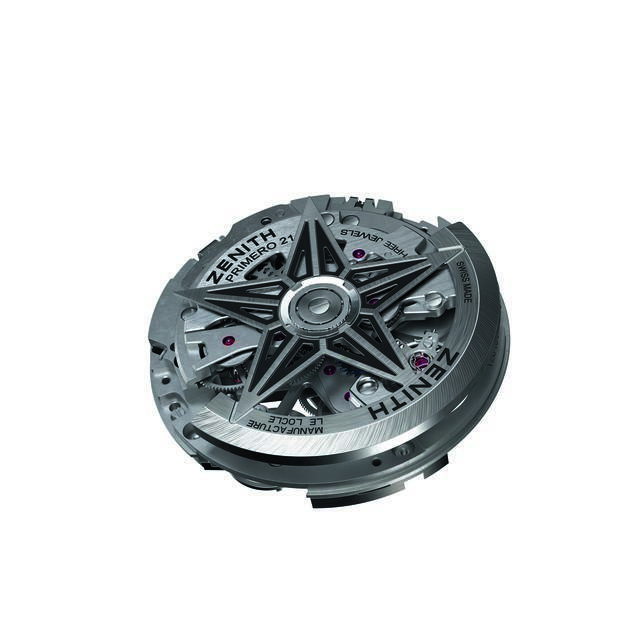 Each has its own transmission and escapement system and there is no coupling clutch. Thanks to one balance operating at a breakneck 360,000 vibrations-per-hour, the watch’s central chronograph hand whirrs around the dial, performing a full turn each second. It’s quite exhilarating to watch. 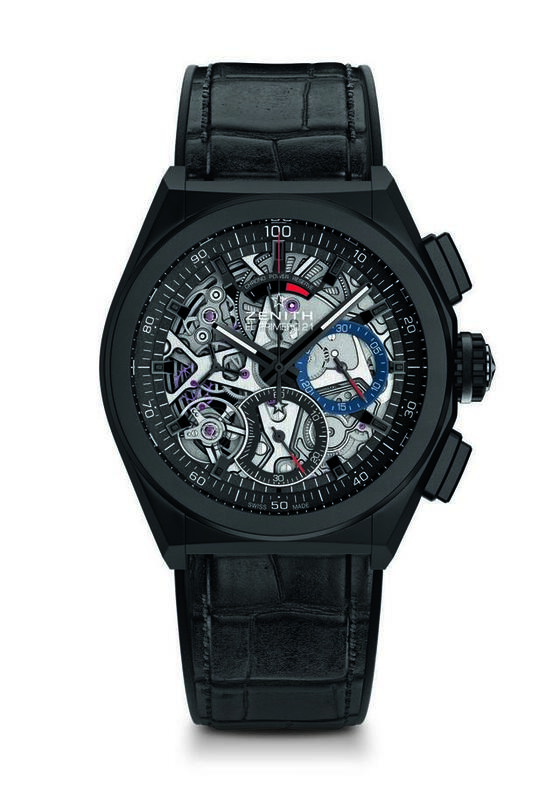 The other balance, working at the standard, though high-speed, El Primero rate of 36,000 vibrations-per-hour, keeps the time, which is well within the El Primero’s chronometer-certified range. The system results in a dramatic central seconds chronograph counter that points to an inner bezel ring with a graduated scale (running from 0 to 100) that helps the user clock the stop time to the nearest 1/100th of a second. But where those watches –like this watch– boast their own technical strategy to display 1/100th of second, this Zenith Defy 21 also includes another: Both of the watch’s hairsprings are made with a carbon-matrix composite made even stronger with carbon nanotubes. 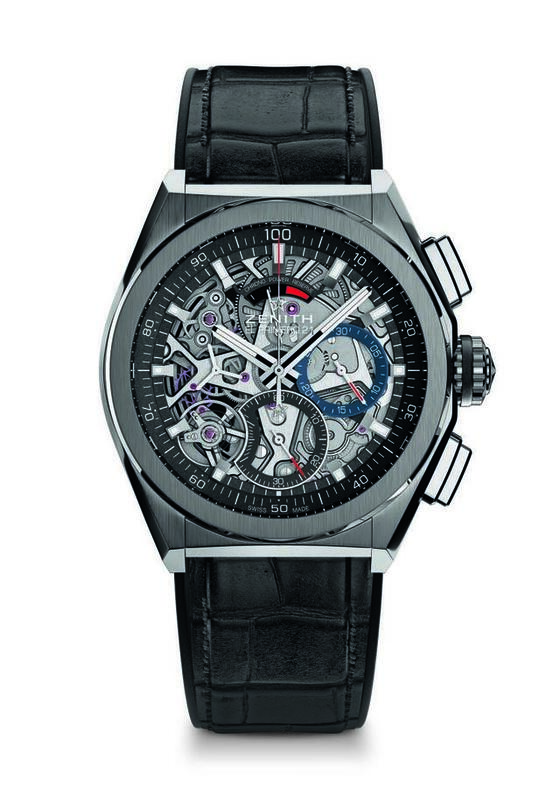 According to Zenith, the material, a type of graphene, is a used here for the first time as a watch balance. The patented material is lightweight, insensitive to temperature and highly resistant to magnetism. 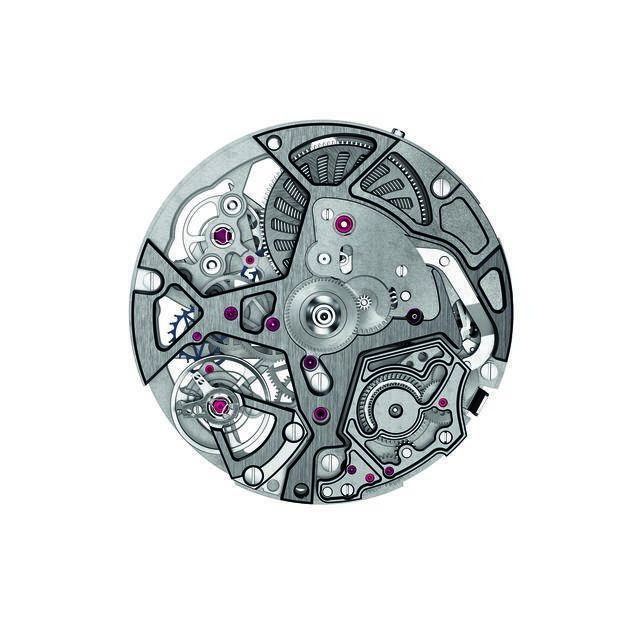 And if that isn’t enough technical novelty for one timepiece, Zenith has also re-built the caliber’s chronograph-reset control mechanism to now consist of three heart pieces and has created an entirely new starter mechanism. 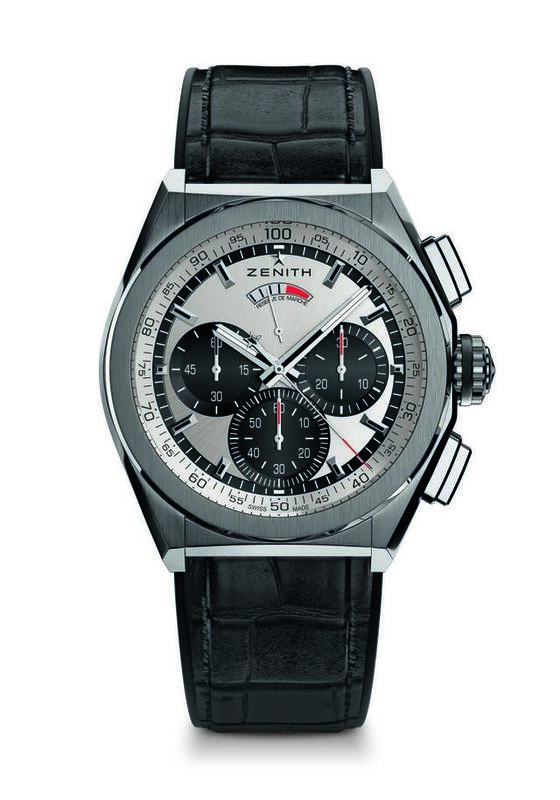 Zenith says this new design was needed to better ensure simultaneous resetting of the seconds as well as the tenths and hundredths of a second. While the chronograph will operate for fifty minutes with twenty-five clockwise crown turns, the timekeeping functions will retain power for fifty hours. The 44mm watch will be available in a brushed titanium case with a solid silvered dial ($9,600), a brushed titanium case and a skeleton dial ($10,600) or a black ceramic-aluminum case and a skeleton dial ($11,600).